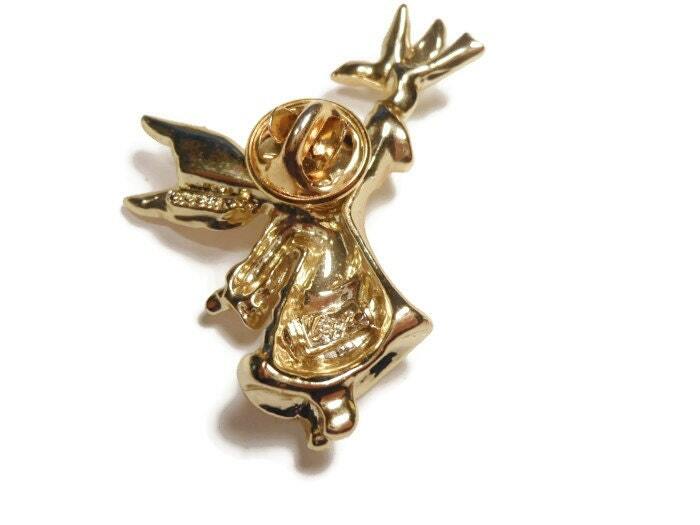 Angel with dove brooch, brushed and glossy gold tone pin or tie tack by mystery designer Gigi Giusti. This designer seems to have no information known about him but it is apparent he did intricately designed pieces. 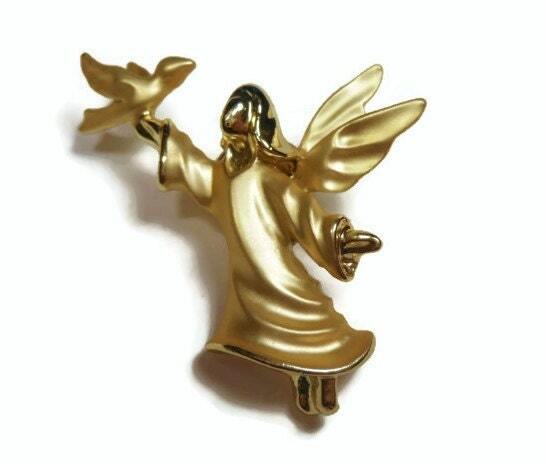 What a great baptism, confirmation or First Holy Communion gift. 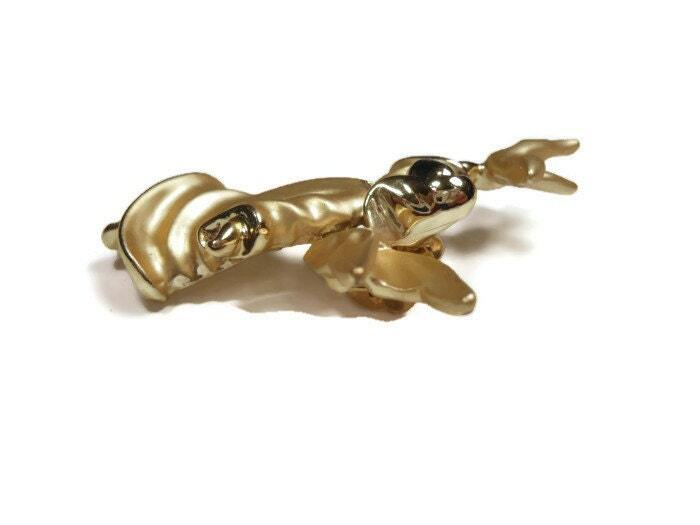 This pin is in very good vintage condition and measures 2" (5.1 cm) X 1 1/2" (3.8 cm).